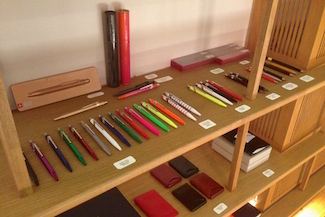 I recently made a trip to Berlin to visit a friend, and of course do a stationery shop tour! The first shop I visited was R.S.V.P. in Mitte. 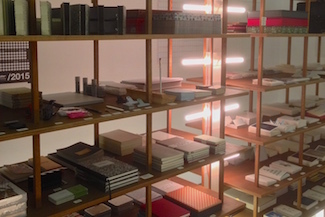 It’s a tiny store but really cleverly designed with loads of neat shelves, floor to ceiling. It’s also VERY neat, which I appreciate greatly. 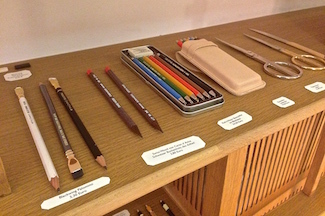 They stock loads of great brands; Caran d’Ache, Palomino, Kaweco, Koh-I-Noor, OHTO, Leuchtturm1917, Moleskine, along with some smaller brands, and some lovely greetings cards. The staff were really friendly too! 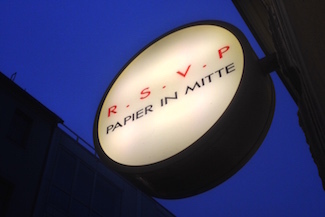 It’s the perfect little stop off point after a day perusing the shops in Mitte. I would love visit this shop! It looks just like the type of place I would love to find more of in London.